WHO’S SOUP WILL BE HOTTEST? SAVOR OUR SOUTH KICKS-OFF WITH SOUPER BOWL THIS SATURDAY! Home >> Community >> WHO’S SOUP WILL BE HOTTEST? SAVOR OUR SOUTH KICKS-OFF WITH SOUPER BOWL THIS SATURDAY! Each spring Mississippi’s College Town hosts various creative culinary events in our ‘Savor Our South’ event series. This year’s series kicks-off THIS Saturday with our annual SOUPer Bowl soup tasting contest. 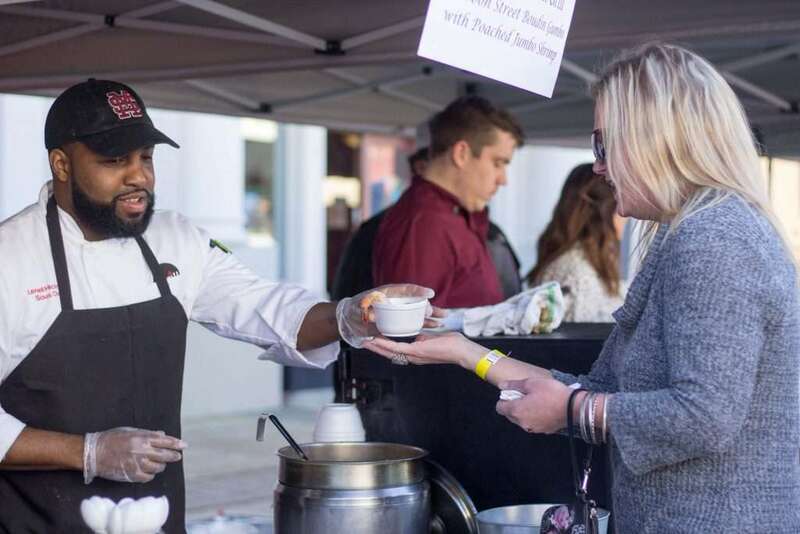 Fourteen local restaurants have signed-on to prepare and serve a delicious soup and allow attendees to vote on their favorite choice. Participants compete in both presentation and taste, as they prepare a unique featured soup, complimentary ingredients and table decorations. Advance tickets for SOUPer Bowl are $15 for adults and $5 for children, and may be purchased online. Tickets are also available at the Partnership office and may be purchased the day of the event for $20.